3. And, most important, despise humans! But Ned is not just any troll. Even though Ned is nearly seven feet tall, with a nose the size of a pickle, Ned has a heart full of LOVE! A heart that swoons over poetry and craves true friendship! And when it comes to humans . . . it’s complicated. So complicated that long ago, Ned fled the Enchanted Realm for the one place no one would notice a troll hiding in plain sight: NEW YORK CITY. But one human boy—Cody—has noticed. And Cody’s snooping leads to a wild and adventure that takes readers from the tunnels underneath Grand Central all the way to the Enchanted Realm (and back again!). 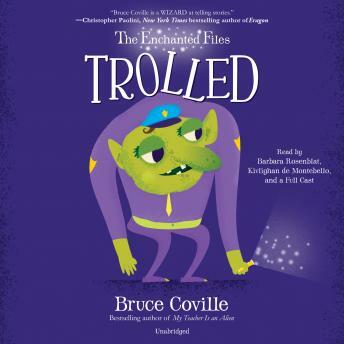 Laugh out loud with all three of Bruce Coville's Enchanted Files—Cursed, Hatched and Trolled—casting a hilarious spell on readers everywhere!